BRIGHTON, Mich - As of today, a historical partnership has formed between two community-focused organizations to help raise awareness of food insecurity in Detroit, Michigan. Ford Motor Company and the Detroit Lions will join forces to support the "Meet Up & Eat Up" program, working together to revive Detroit, eliminate food insecurity and educate fans and customers about proper nutrition. Between the two organizations, "Meet Up & Eat Up" will receive resources and assets from both the Ford Mobile Food Pantry and the Lions Living for the City program. 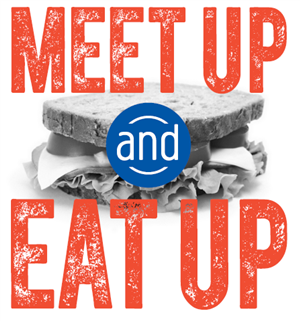 Both Ford and the Detroit Lions are thrilled to joined forces to support the "Meet Up & Eat Up" program. As a part of Ford's effort to create a brighter future within the local community, partnering with the Detroit Lions will be a huge aid in raising awareness and expanding education of health and wellness throughout Southeastern Michigan. Currently, Ford has a fleet of Transit Connect Mobile Food Pantries in Southeast Michigan that deliver 1.3 million meals through organizations that feed the hungry. For the rest of the summer season, the Detroit Lions and Ford Motor Company will be at eight "Meet Up & Eat Up" sites with Lions mascot, Roary, Detroit Lions players and alumni and Play 60 activities led by Playworks Detroit. Become more involved in our local community by visiting BrightonFord.com/Believe! Our new community calendar will be your go-to source to know what is happening around Livingston County! Brighton Ford is located at 8240 Grand River Ave. just north of I-96 in Brighton. We are a family owned and operated business that strives for customer satisfaction. For more information on Brighton Ford visit BrightonFord.com or give us a call at (810) 836-8206.